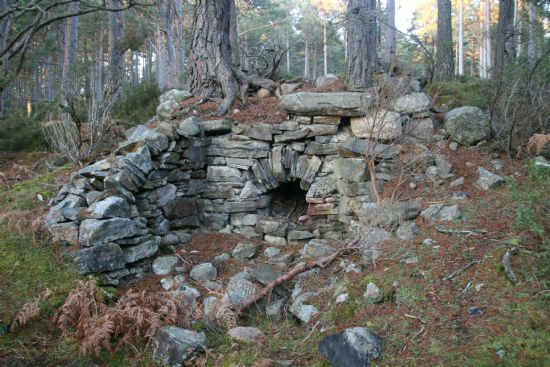 Remains of lime kilns are dotted throughout Upper Strathspey, and even more are known only from old maps. 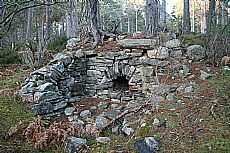 This well preserved example is at Loch an Eilein near Aviemore. 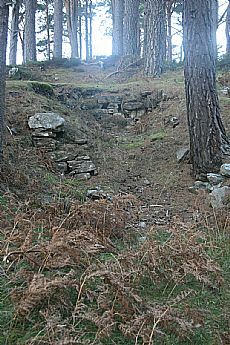 Around the loch there are remains of others, including a large one near the visitor centre. 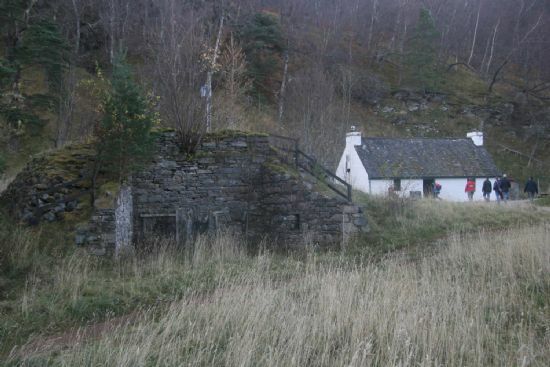 The abundance of lime outcrops and timber for fuel in the area led to large and small scale kilns, where limestone was burned to create a powder which was used for both the building trade and for improving agricultural land. Most date from the late 18th and 19th centuries when supporters of agricultural reform promoted the use of lime for improving soil fertility. Some lime kilns were in use over a long period, while others, from the map and archival evidence, seem to have been short-lived. Nisbeth, Stuart 2007. “ ‘A hot cargo’. The waterborne supply of lime in Scotland,” History Scotland vol 7 no. 6, pp. 42-7. 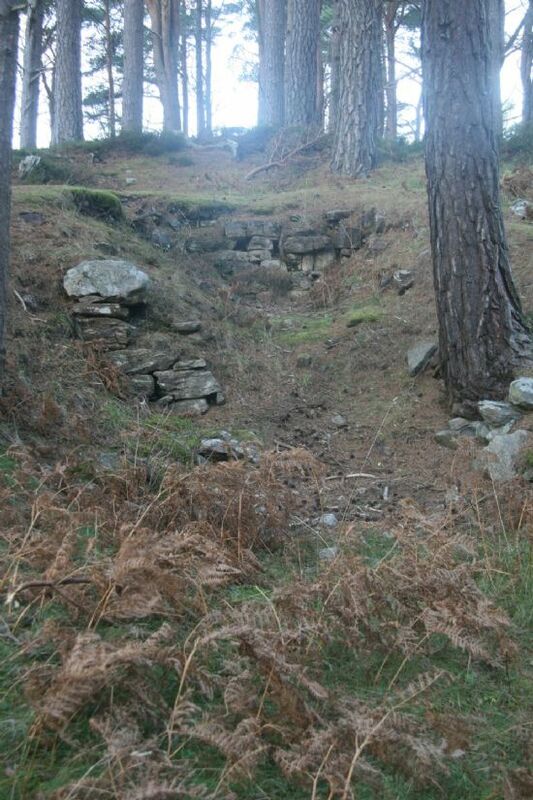 The lime kilns were one of a number of sites, buildings or finds researched as part of the ARCH Community Timelines course held at Boat of Garten, Strathspey in 2011. 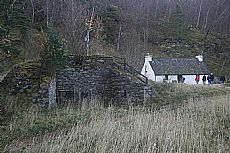 The group was amazed at the number of lime kilns still surviving in the landscape, and the many which are recorded on the first edition of the Ordnance Survey maps in the 1870s.